There are two types of people when it comes to computer file management: the ones who have a million versions of the same file in their downloads folder, and the ones who are meticulous and know where everything is stored on their computer. I am the latter. You'll never see my desktop cluttered with a bunch of unnecessary files, nor am I in the dark about where anything is located on my hard drive. It's why I always have a guest login for whoever uses my computer -- there's no way I'm going to let anyone mess with my settings and ruin my work experience for me with their lack of clutter-free empathy. 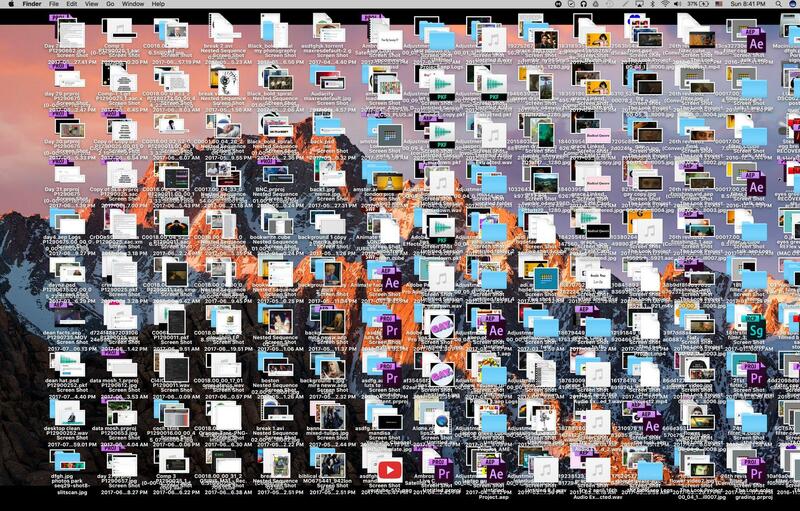 So seeing these messy computer desktops is an extremely traumatizing experience for me. Some people claim that they can't keep their desktops clean, but I know the truth: it's sheer laziness. No matter how hard I try to keep it neat, I always end up with a messy Desktop. I mean how difficult is it to delete files that are on the desktop? You just relegate them to another folder. Surely you don't need all of that covering up your computer's background, do you??? Thankfully some people on Twitter are sane. But it's a losing battle. I hope for this individual's sake their desktop isn't a mirror to their personal life. All it takes is a little bit of cleaning, just a few minutes of your time. This background is the only appropriate background for a messy desktop: a crying man.